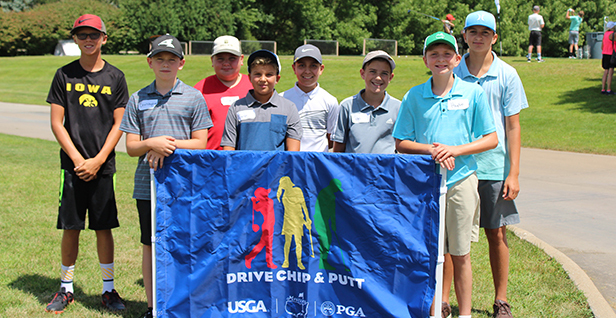 Iowa City, Iowa -- The third of five local Drive, Chip and Putt qualifiers was held today at the Pleasant Valley Golf Course in Iowa City, Iowa. The top three finishers from each age division advanced on to the Sub-Regional event taking place at Glen Oaks Country Club on August 12th. The Iowa PGA would like to thank head professional Tom Hein, the Pleasant Valley staff and all the volunteers for hosting and assisting with this event.